Mobigo: all the information to travel around Burgundy! The Côte-d'Or ticket costs 1,50€ on all lines, besides the cost of the card. The Tourism Office of the Pays Châtillonnais also allows you to buy Transco tickets in its main Office in Châtillon-sur-Seine. 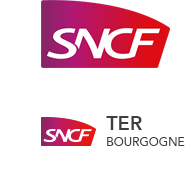 The Tourism Office of the Pays Châtillonnais also allows you to buy SNCF train tickets in its main Office in Châtillon-sur-Seine.